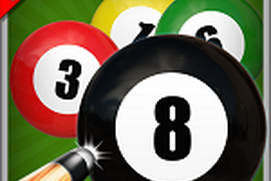 Pool Billiards Reserved is a 9-Ball Pool version. 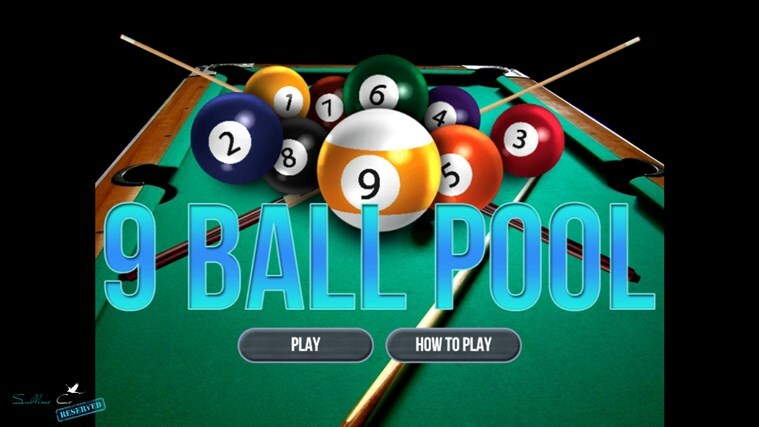 You have 5 minutes to stick as many balls as you can. 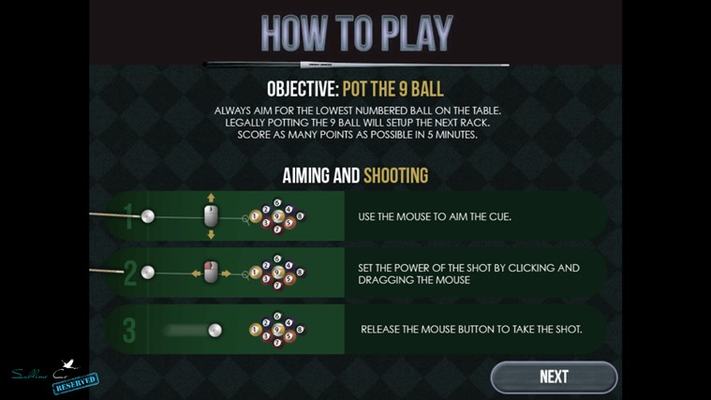 You have to stick the correct ball in order to earn more points. Download the game and have fun! 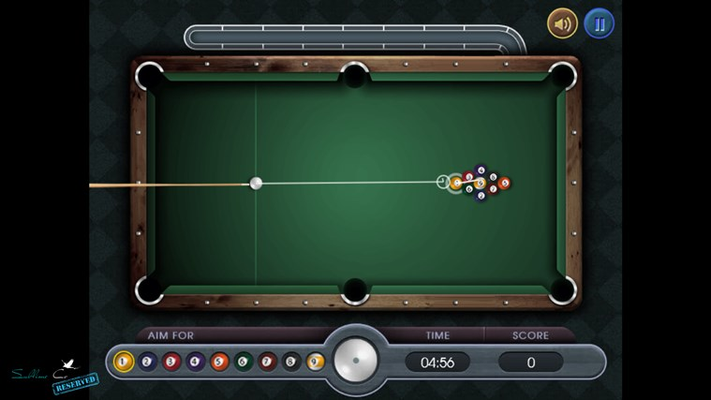 The objective of the game is to pot the 9 ball. 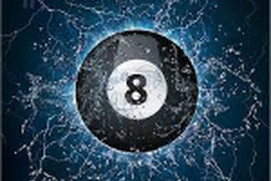 Always aim for the lowest numbered ball on the table. 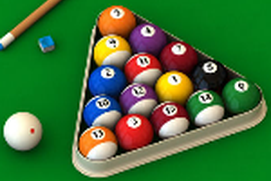 Pool Billiards? is a Windows Metro version of the popular Pool Billiards game. It has Music, Sound, Score and time. 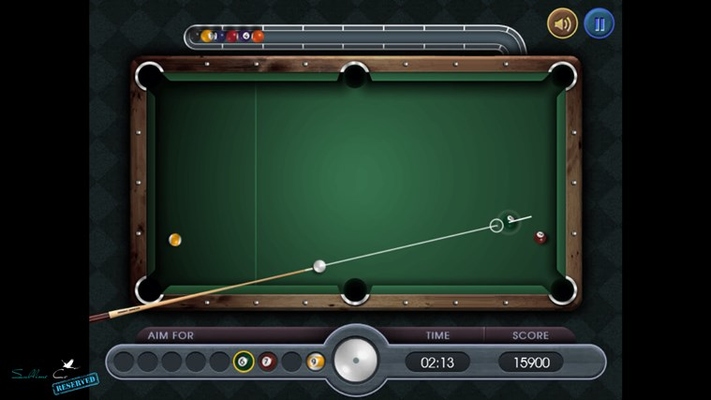 Try to clear the table in 2 minutes! Its awesome! I really enjoy it a lot.